Enjoy your knitting and crochet more with our hand soothing knitting and crochet cremes and body bars. Keep hands and fingers smooth, snag free, and well tended. 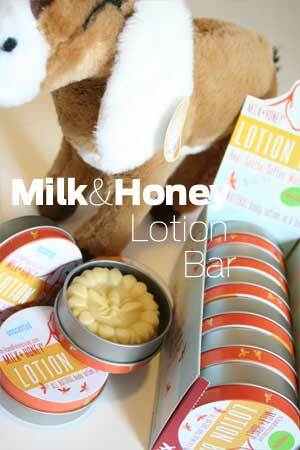 Fabulous Milk and Honey Lotion Bar, Mini Tins, and the lovely BAA goat!